I have played in orchestras for almost half my life, but I’ve never been on the other side of the orchestra—the side that organizes and sets up the stage. 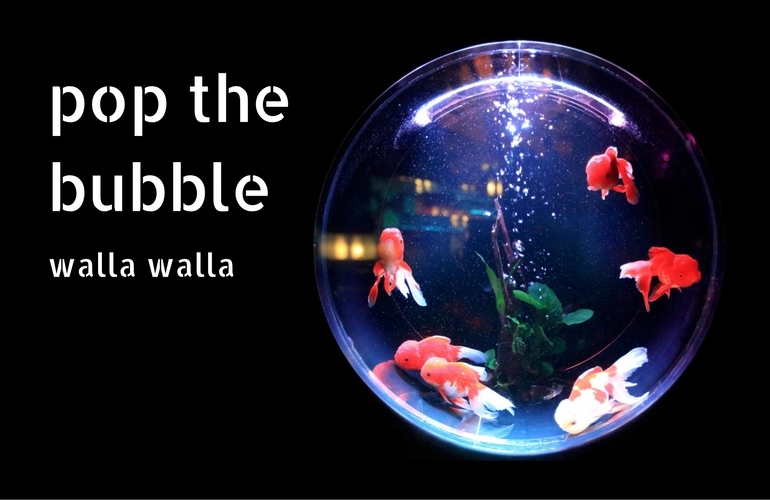 This fall, I have had the great pleasure of joining the Walla Walla Symphony team as their Whitman Community Fellow. 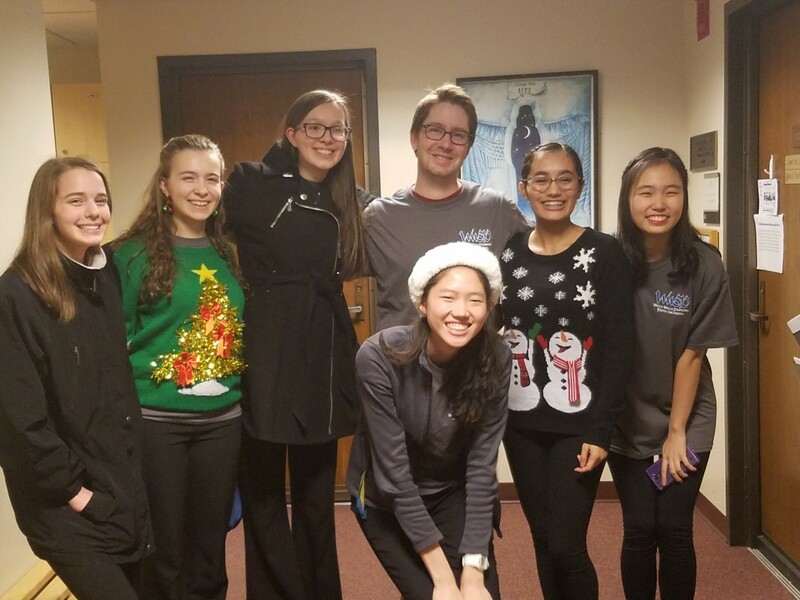 Although I help at Symphony concerts (and I recently played in the Nutcracker production), my primary job lies with the Walla Walla Symphony Youth Orchestra (WWSYO). Every week, I help set up the stage and play in the cello section to encourage proper rhythm and intonation. One night, I even learned how to play timpani while helping our fledgling percussionist, Clara, with her counting. I honestly felt like I was playing Guitar Hero and probably would have learned timpani if I had known it was such good fun. Some weeks, we have sectionals—the orchestra breaks up into groups of instruments to look at their parts as a section. On these days, I lead the cello sectional, a group of 7 talented, young girls. 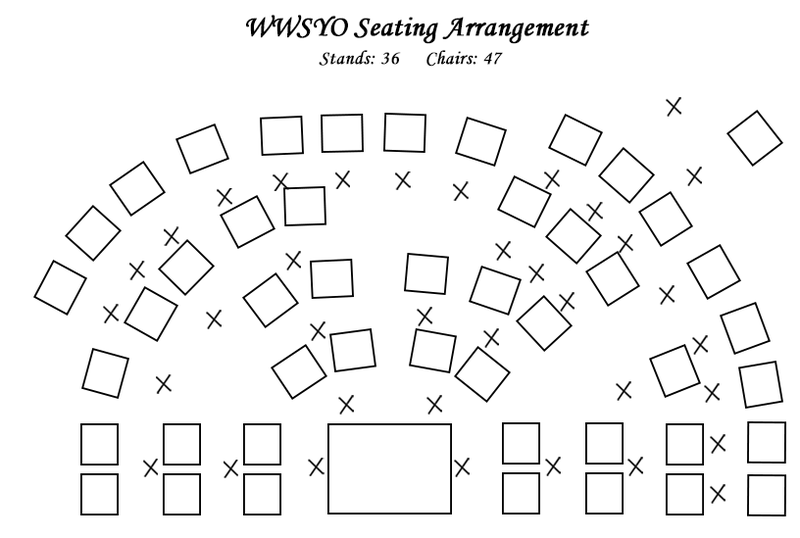 The WWSYO seating chart for the Fall 2016 season. I made this seating chart in the beginning of the year and have found it a great help every week. Performing in an orchestra is fun, but being behind-the-scenes is satisfying in a different way. Hauling chairs and stands is neither interesting nor exciting, but I know I am fulfilling a role that is necessary for a successful and productive rehearsal. As someone who has been on the performance side for 10 years, I have taken the stage set-up entirely for granted, and I am filled with newfound admiration and respect for the people who quietly make it happen. Most importantly, I know that the WWSYO is the highest quality of music making for most of the students in this area. Unlike the west coast, which boasts a whole host of youth orchestras, there is a dearth of opportunities in eastern Washington. WWYSO is the most well-established youth orchestra in the area, thanks to the Walla Walla Symphony’s continued activity, sponsorship, and support. The Spokane Youth Symphony is the largest in eastern Washington, but it is situated in a city seven times as large. Some of the orchestra members come all the way from the Tricities to participate. Sonnet, a cellist, makes the two-hour round trip every week. Sadly, music programs are often the first to go when schools find their finances strained. Music is expensive! The instruments cost money, the chairs and stands cost money, even the sheet music costs money. Compared to STEM classes, music is often considered a bonus enrichment rather than a necessary investment. When I see the youth orchestra play, though, I think that it really is more than just an enrichment. It is an experience, a proving ground, an adventure, a journey. It is also a step that may take some students further. I know that without orchestra, I would have never continued to play the cello. I love the cooperative aspect of playing in an orchestra and am honored to be able to play a role in providing a stage for aspiring young musicians in this area. The new WWSYO logo, which I designed and made in Adobe Illustrator and Photoshop. It was put on the WWSYO’s 2016-17 T-shirt.